So what does it mean for education? Khan Academy is sometimes looked down upon by the Vygotskian Social Constructivist puritans among you. However, I would recommend giving their Computer Science section a go. If you don’t, you just might find that your students are there anyway, learning, and constructing meaning without you. So, Wednesday this week NZ time saw yet another round of Apple product updates and announcements. Was there anything of interest to New Zealand schools in amongst the hype? The most important part, in my view, was the release of the iPad Mini with retina display. In a post from last year when the mini was first released I outlined how the iPad mini was a much better form factor for a tablet than the standard iPad, with the one downside being the lack of retina display. Well, that downside is no gone, so I would say that the iPad mini would have to be top of the list as a tablet device for students and teachers. The new mini will probably be more expensive than the current model, but should still be a $200 or so less than the larger iPad 4 or iPad Air. If you are looking at buying bulk tablets for your school, the savings from buying minis means more iPads for your dollar, while providing a device that a lot of people will actually prefer using. It is not often that you can pay less money for a better option! Don’t be tempted to snap up remaining discounted stock of the non-retina iPad minis, you won’t regret spending a few extra dollars for the new model. It was also great to see Apple’s move to make the latest major upgrade to OSX Mavericks free, which will make it a much easier decision for schools on whether to upgrade or not. There are no major must-haves in OSX 10.9 from my point of view, but the reported performance and battery life improvements can’t go astray, if they are to be believed. And hey! at least you won’t have to look at the tacky fake leather border on the calendar and address book anymore—that has to be worth the 5.9GB download in itself. Quick tip if you are upgrading to Mavericks—given the 5.9GB download, you don’t want to run the upgrade on every school computer. So upgrade one machine, and once the download is finished, but before you run the upgrade, copy the “Install OS X Mavericks” that will appear in your Applications folder to a USB drive. You can then copy this file in the Applications folder on any other Mac and run it (as long as the hardware is new enough). Also, don’t forget to backup before you do run the upgrade—we have had at least one laptop that did not come back to life after going through the upgrade process. While the tablet and smartphone market has buzzed with developments over the last few years, the level of innovation seems to have temporarily plateaued. New releases from the big players have been limited to making things longer, wider, thinner, higher resolution, or minor operating system tweaks—none of which are gaming changing. 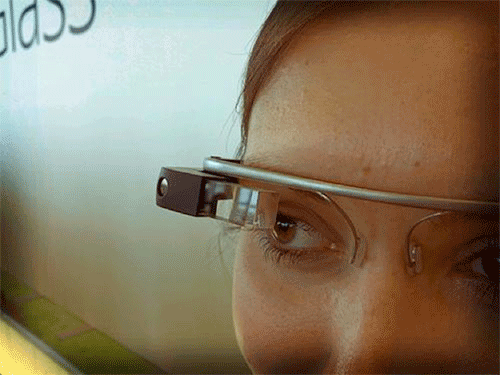 Apple are said to be working on a watch, but in fact the real technology to watch is Google’s Google Glass project. If you haven’t done so already then check out the demo videos. So how does this technology work? The following infographic provides a nice simple explanation. Why is this a technology to watch? You might say this is interesting, but who really wants to talk to their glasses and have that information hovering in front of your eye, or given that they are $1500US a pair, they are not going to impact on my classroom any time soon. But, consider how quickly smartphones, tablets, and BYOD policies in schools have taken hold. It is likely that this technology will be in the $500 or less price bracket within the next two years, and how many of your students already have phones in that price bracket? The iPad and other touch surfaces have helped to bring these concepts, and the tabs, pads and boards that Weiser imagined in 80s and 90s to life. The Google Glass concept, however, takes it to a new level. The computer blends further into our everyday environment, a quiet invisible servant that can be called up with a word in order help us do something, to inform, but not to demand our attention. Just take the GPS function showcased in the Google Glass demo video. In a smartphone context, it too can be called upon to help with finding our way, but it demands our attention, it is difficult to navigate while at the same time looking at the device. 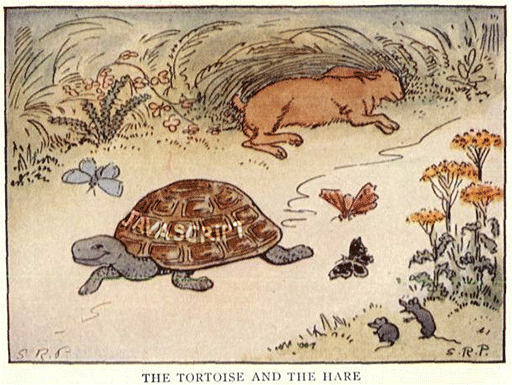 In contrast, Google Glass merges the information into our field of vision rather than directing our focus elsewhere. What is the potential impact on education? Is it too tricky to know how to handle these devices so should they just be banned from the start in the same way that cellphones were? Is it a problem that a student could be videoing your entire lesson without you knowing it? What sort of cyber citizenship education and acceptable use policies will you need to deal with the level of capturing and sharing of photos and videos that these devices allow? Do you ban these devices from exam situations or do you rethink your whole assessment practice to, instead, integrate the use of them? Why would your students need to come anywhere near you or your classroom when you can be streaming your reality to them wherever they might be? Glen Davies, CORE’s IT Manager and a member of the New Zealand Institute of IT Professionals, couldn’t wait to get his hands on the new iPad Mini when it hit the stores on Friday 2 November. The following review was printed in the New Zealand Herald on Saturday 3 November. I was sceptical about the new iPad mini, and have had a few debates with my son, who was convinced it was a good thing when Apple released it recently. I couldn't see the need for a smaller version. Why wouldn't you pay a little extra and get the full size one? Today I purchased one for work, as CORE is obviously involved in the integration of technology into education, and we wanted to evaluate how the iPad mini might compare with the full-sized iPad as far as a student-owned device goes. I am now in the unfortunate position of having to admit to my son that he was right. The smaller form factor just seems much less cumbersome – not that a normal iPad seemed all that cumbersome before having a play with the mini. As it was passed around the office the response was that it seemed much easier to hold and use than a regular iPad. Speed and responsiveness are not noticeably different to a full sized iPad, and the built-in speakers are pretty impressive. The one downside is the lack of a retina display, if you are moving from an iPad 3 you will notice the difference – if not you will probably think it is just fine. The strange thing is that when you are working with it you don't really notice that the screen is significantly smaller than a full size iPad. It looks like Apple may have slipped on standards slightly in the rush to get these out of the door though. The final finish on the first one tested is not quite up to Apple's usual standards, with the very edges of the screen appearing just slightly unfinished and sharp. However, looking at another unit the finish is what you would expect, so maybe the first one was a Monday or Friday model! Although these units come in at about $100 cheaper than an iPad 2 and $250 cheaper than the retina iPad, I think it is the size rather than the price that is going to make these a hit with students if the reaction from my teenagers is anything to go by. "This is way cooler than an iPad" was the response after 30 seconds of playing with it. Although I would like to spend a bit more time working with different apps, my initial view is that the reduced size in no way reduces the usability or usefulness of the device. From a school perspective this means you can potentially look at getting more devices into students’ hands for the same money. For example, for $10,000 you can get 13 retina iPads or 20 iPad minis. It appears that others are agreeing with me, if the Business Insider review is anything to go by! But, how well will the Mini go in schools? 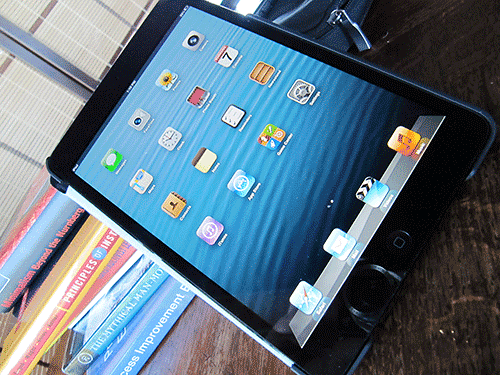 Over the next week we are hoping to get an iPad mini into the hands of some students and teachers in early childhood and primary settings, so watch this space for a follow up post written by e-Learning Facilitator Tania Coutts in the coming weeks with some more feedback from the coalface. 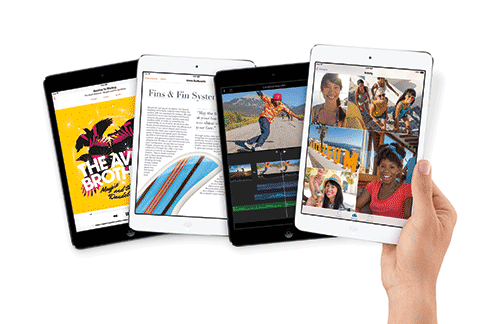 Have you had a chance to try out the new iPad Mini yet? What are your initial thoughts?